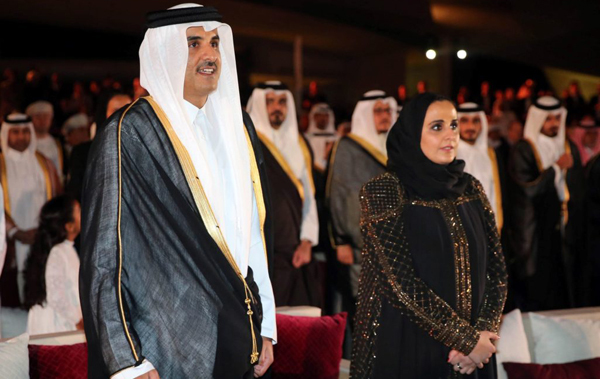 Emir of Qatar Sheikh Tamim opens the National Museum of Qatar, alongside his sister, Sheihka al Mayassa, the head of Qatar Museums. Photo by Arda Kucukkaya, Anadolu Agency/Getty Images. Although constructing seven football stadiums in double-quick time has been the focus in the lead-up to 2022, a home for Qatar’s blue-chip Modern and contemporary art is on the horizon. In the National Museum of Qatar’s inaugural temporary exhibition, visitors can see models for Pritzker Prize-winning architect Alejandro Aravena’s proposal to convert huge flour silos and a still-functioning mill in the old port of Doha into the vast Art Mill, a future home for Qatar’s burgeoning but rarely revealed Modern and contemporary art collection. Measuring more than 800,000 square feet, the complex will be more than twice the size of Tate Modern, even including the Turbine Hall. And it would nearly double the footprint of Frank Gehry’s Guggenheim Abu Dhabi, the region’s rival behemoth, which is still on the drawing board. If built, that one would would measure “only” 450,000 square feet.